In a mixing bowl, mix the butter and sugar well, then add eggs one at a time. In a medium bowl, combine milk and bananas. We find a fork works best to mash the bananas. Mix in the cinnamon until blended. In another bowl, combine sifted flour, baking powder, baking soda and salt. Add bananas to the butter/sugar/egg mixture, then add flour mixture until batter forms. 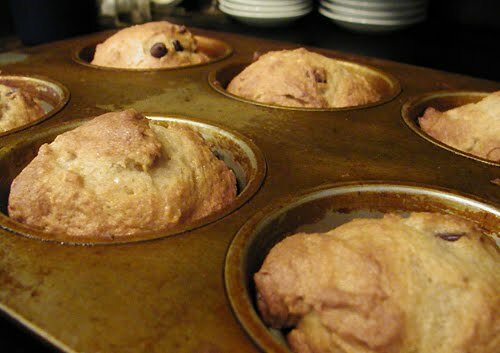 Spoon into greased muffin pans and bake for 30 minutes. Serve warm or allow to cool — either way they’re good!